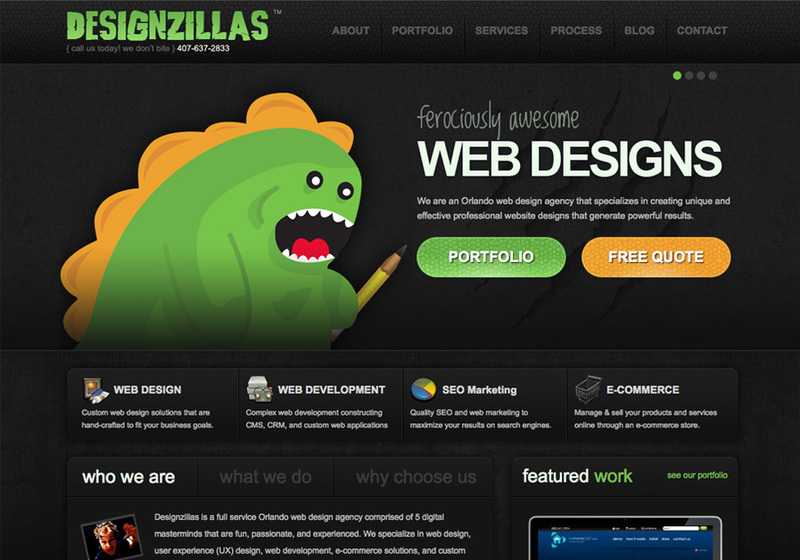 Designzillas is an Orlando Web Design Company that specializes in ferociously awesome web design, website development, web hosting, brand design, user experience (UX) development, e-commerce solutions, and content management systems (CMS). Designzillas is a full service Orlando web design agency comprised of 5 digital masterminds that are fun, passionate, and experienced. We specialize in web design, user experience (UX) design, web development, e-commerce solutions, and custom branding design.